Note: Please welcome this guest post by Marc Tremblay - teaching on the front lines in Toronto, Ontario. The challenges of creating effective instructional designs are an ongoing and healthy preoccupation in the minds of most teachers. Though they are often exposed to new instructional practices through professional development, teachers must consider a well-thought integration of a variety of approaches. Beyond Monet: The Artful Science of Instructional Integration, by Barrie Bennett and Carol Rolheiser, tackles the complexity of instructional design by breaking it down into distinct elements. These components are based on psychological and social research which have been applied in education. Many aspects of this book make it a valuable resource: concise explanations of theoretical foundations and a recognition of the need for excellence in teaching skills make this reading exciting and motivating. There are model lesson plans which demonstrate the application and integration of several instructional practices. The authors also maintain a website updated with current developments in research in education. Key parts of this book deal with cooperative learning structures, the brain and students’ sense of well-being in the classroom, induction, differentiation, the practice of asking questions in a classroom discussion. These are all things we sometimes struggle to perfect and desire to master in order to create engaging, effective and meaningful learning scenarios. 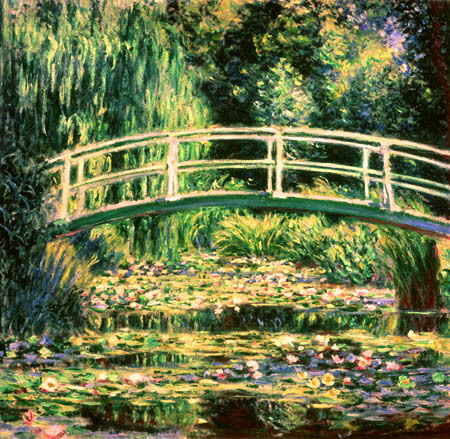 So what’s with the title, Beyond Monet? Well, it addresses the need to apply scientific methods of self-reflection such as observation and analysis rather than simply relying on intuition: experienced teachers combine several instructional practices for effective teaching, yet often they struggle to explain clearly to novice teachers exactly what they did. One just doesn’t rely on a nebulous creative streak to be a good teacher. This book encourages in-depth understanding of teaching practices and learning content so that one can then apply one’s creativity in lesson design. Beyond Monet : the artful science of instructional integration / Barrie Bennett, Carol Rolheiser. Thanks for the posted useful topic it is very appreciated for me.